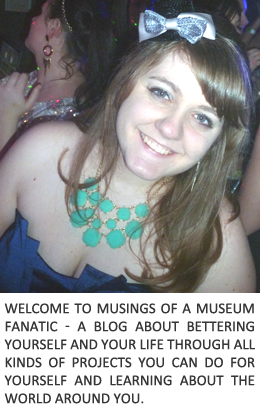 Musings of a Museum Fanatic: Really TheBump.com? In continuing in my usual fashion I've been working very hard on my Inbox Zero 101 task. Thanks to Stephanie today I discovered this thing called "All Mail". From what I can gather it's any and every single interaction that you've ever had in Gmail. It's any of the chats you haven't deleted or emails from all your labels/folders. I was paging through it and found some fantastic emails from the 2007-2009 era of my life but those I will be saving for another day. Today I'm sharing this little gem I got on our one year anniversary. 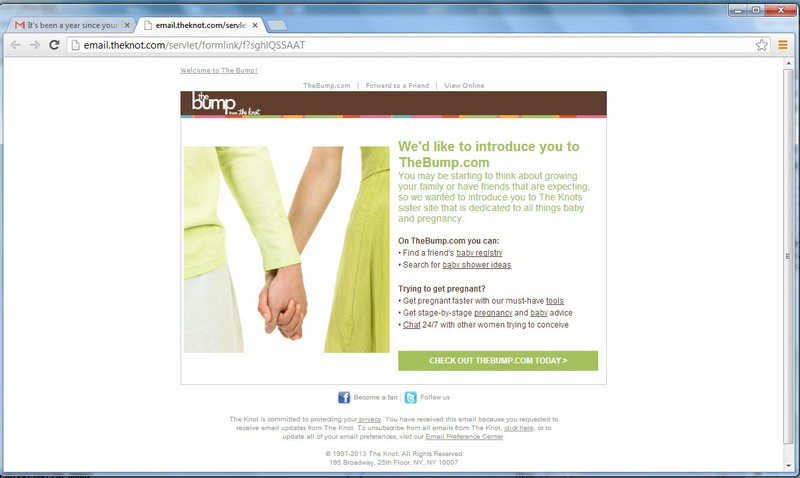 I know it's kinda small but yup that's TheKnot.com telling me I should sign up for TheBump.com on our one year anniversary. Let me state this right away I have no problem with anyone getting pregnant whenever they so choose cause that's your business! Back to my little rant ... really one year interwebs and already you're telling me too that I should get prego and have babies? Kevin and I are still trying to figure out how to live in a one bedroom condo with all of our own toys ... I don't think adding a third person's toys will help. Plus I'm pretty sure that's why we have parents so they can bug us about having grandkids. You couldn't have sent out an email for TheNest.com? I feel like sending out one for them wouldn't get so many people mad at you just saying. I will let you know when I'm ready TheNest.com! No more baby emails on anniversaries! Ugh, that's awful! I absolutely hate people asking us when we are having kids (even family members) so why on earth would I want to be peer pressured by a website? I'm about to use a word that I really hate, but it's necessary: That's just tacky. I got the same e-mail and I thought...."rude"!! !